When you are creating animations online, you should not have to settle for lower quality. And if you use the best online animation maker, you will be able to create animation online that rivals any others out there. While some of the tools do have limitations, we have looked through the options to give you the ones that are best for flexibility and features. Now you can choose among these programs to make animated videos online free. Here are the best eight online animation maker options. It is true that you can make animation online, but editing on software is necessary if you want to have more controls on animation video. Here we recommend using FilmoraPro. You can use it to make 3D animation or 2D animation by adding keyframes, so the animation will be smooth and natural. You just need to build a white plane to easily start making animation. Besides, color correction and audio mixer will raise up your animation video to a new level. Download it to have a try (Free)! Renderforest is an online animation maker that will let you create promotional content, fun animations, explainer videos and much more. Whether you want to create something that is 3D and CG realistic, or you want to come up with a fun 2D animation, the program will be very helpful to you. With around 200 video templates, you can start your video very easily. Cloud based tools let you adjust scenes, modify text and create great animated content. 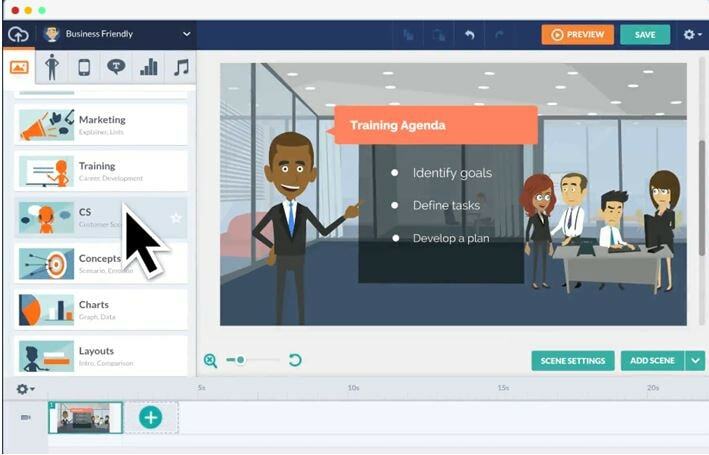 There is an explainer video toolkit that small businesses will find very useful. 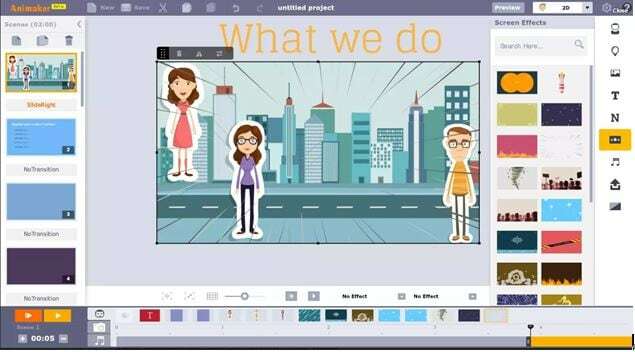 Fast, fun and easy to use, Biteable is an animated video maker that you can use online. Do not have a powerful computer to run software? You can use this toolkit with ease. Come up with fun and informative product videos and updates. Share animated content that will let others know about your business. Hundreds of animated and live action scenes that you can adjust to your liking. Add your own text, photos, colors and sounds to customize content even further. Moovly is one of the only programs that has full integration of the nearly 175 million digital assets that are found at Shutterstock. Whether you want to create sales, marketing, business or education videos, you can do so easily. 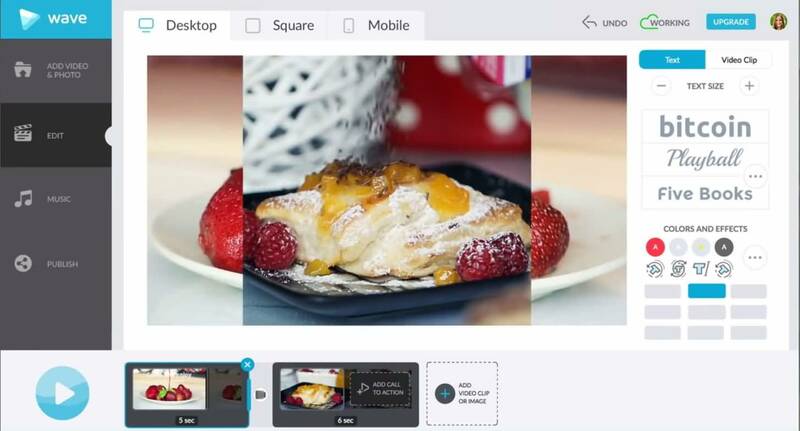 Select from different templates before you start your video. Use 175 million pictures, video clips, sound effects and music in your videos. Integration with Shutterstock is smooth. Customize content easily using the built-in toolkit. 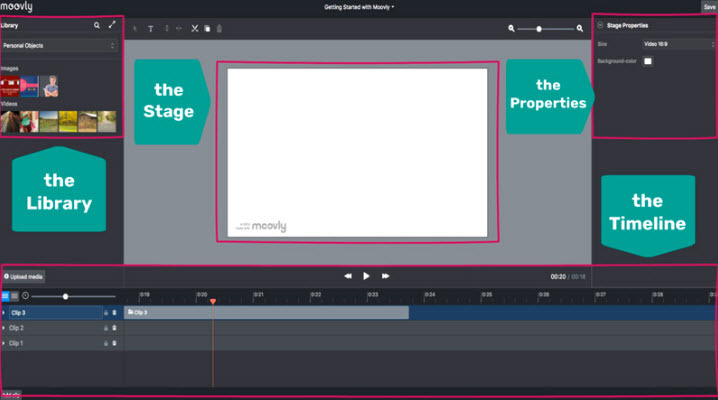 There are six different video styles available to you if you decide to use Animaker. The best part is that you can create a fully-customized video for business or pleasure with ease. Video styles include 2D, 2.5D, handcraft, infographics, typography and whiteboard animation. One of the easiest online programs to use if you want to create animated content. Even with no experience, you can come up with a fun and professional-looking video for your business. Want an online program that will help you create explainer videos, whiteboard style animation or HTML5 banners? Animatron gets the job done and then some! You can even create HTML5 animations and incredible presentations with this program. It is easy to use and it features support from some of the top companies in the world. The likes of Google, Disney and the New York Times have used this program. Educate people with explainer videos. A library that has more than 500,000 royalty-free video clips, photos and audio files for you to incorporate into your content. Helps you save money on expensive video creation software. Toonator is a very niche program that will allow you to create cartoons to your liking. Say you want to create a funny cartoon from scratch, or edit some graphics that others have created - you can do it with Toonator. And the best part is that it features fill integration with tablets. You can open up a window and start drawing with your fingers or a pen immediately! A library of popular and recently-added cartoon clips made by other users of the program. Easy to create your own cartoons, edit others or enhance ones that you have created in the past! The ability to draw right onto the program when you are using a tablet is very helpful. Hoping to create professional videos or animated content that you can showcase to customers or clients? With Powtoon you do not have to pay tons of money for expensive software. In fact, you do not even need a powerful computer to get these videos made. You can use this cloud-based program to create professional animated content. 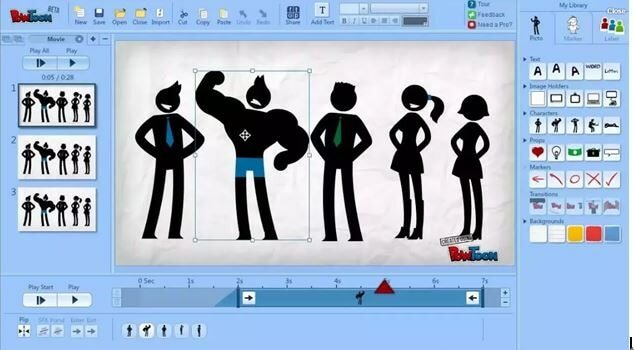 Powtoon has integration with some of the top sites, apps and content providers out there. There is a vast collection of media files that you can use for free within your own content. Customizing the templates and graphics you have chosen is very easy. Your video will look unique by the end. Wanting to create professional animated videos that will impress your bosses? Hoping to promote your personal brand through a social media video? You can create such content using GoAnimate. You can try the program for free before you choose whether you want to purchase the full version. There are options for video marketing, training videos, whiteboard animations, sales videos and video presentations. Many templates available to help you get your video made quickly. Many royalty-free images and videos you can use to enhance your content. Three subscription plan options after the free trial runs out: GoPublish, GoPremium and GoTeam. Want to create animation online? Now you can get the job done with the list of programs we have provided. Any of these options will do wonders for your animating ability. And most of the programs are great for beginners, as they feature intuitive interfaces that are very easy to master. Before you know it, you will make animated videos online free that are professional quality. And if you need to edit these animations, FilmoraPro is your best bet. It is one of the top all-in-one animation and video editors for both Windows and Mac computers.